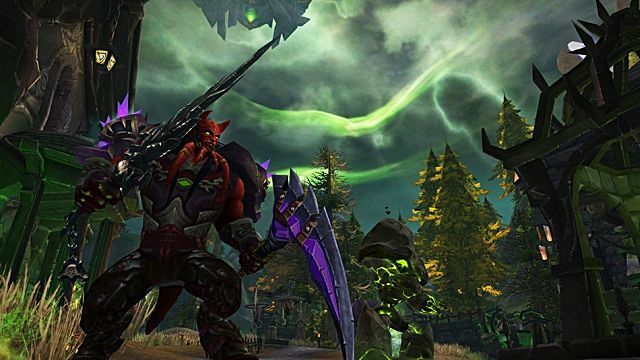 World of Warcraft is launching its sixth expansion soon. 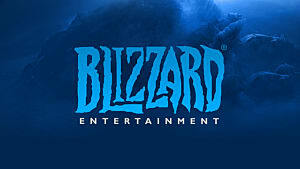 Very soon, in fact; Legion is scheduled to launch on August 30th. 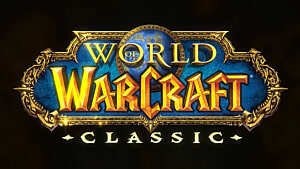 But let's assume that this doesn't matter to you, because World of Warcraft has never mattered to you. It's something other people play, not something you play. You prefer other titles -- you don't go for the MMO, even after years and years of operation and people saying that you should try it out. And yet maybe now is the time to break that streak. Buying the base game and Legion means that you get an automatic boost to level 100 right off. That's the current level cap, and it's also the same level everyone will be going into Legion with. You even get the chance to go through multiple class trials, trying out each class so you can see which playstyle appeals to you the most without having to actually use up that valuable level boost. If you're worried about not being able to jump into the game with the boost, that's been handled, too. The trials slowly walk you through your class abilities, what your talent choices do, and how your class will play in the longer run. By the time you're done in the training wheels section, you'll have a collection of abilities that you know how to use, whether you're a veteran of other MMOs or you've never picked up a similar game before. You'll still be new to the game, yes, but you'll be new to the game with a full selection of tricks that work in a way you can feel comfortable about. The leveling has a new wrinkle in Legion as well, insofar as the game's areas are not divided up by level. Every area's quests and rewards will automatically scale to your character's level as you move toward the new cap of level 110, meaning that you can explore whatever you'd like without worrying that you might be too low-level to experience everything. So not only will you start on equal footing with everyone as you go into the next expansion, you'll also be able to experience leveling in a much more quiet and personal fashion. You can see things without worrying if you're seeing them in the right order; everything will scale. In short, you aren't going to be playing catch-up. You'll be caught up and ready to go on. For a long time, one of the big things locking players into certain roles in WoW has been the idea of respeccing. The short version is this: your character has a specialization -- and once you've picked it, it's both time-consuming and expensive to change that. If I've been playing my Warrior as a tank (Protection), I can't make that warrior into a damage-dealing character (Fury) without getting a whole pile of new equipment and stopping by a city specifically for that purpose. It made it much easier to just stick with one thing. Slowly, that's changed. At this point, playing a Warrior is more flexible than it's been. A Warrior isn't constrained to a single spec unless you want to be; instead, you can freely switch between all of your character's various specs as long as you're in one of the game's many rest areas. And it's not just your spec that's flexible. If you swap to a new spec, your gear swaps with you; going from being a Feral Druid (with an emphasis on Agility) to being a Balance Druid (with an emphasis on Intellect) will see all of your gear swap to account for your new primary stat. It goes further than that, too; if you decide that a given talent isn't working as well as you'd like, you can freely swap that at a rest area as well. Having trouble with a quest? Try out more survival-oriented talents. Need to wipe out larger groups of enemies? Use more area abilities. You don't have to be locked into one-size-fits-all builds as you quest out in the world; you can try new things and experiment with your options. Each class also gets its own Order Hall and Artifact weapons in Legion to help celebrate the flavor of each specific option. It's not just a matter of being able to shift between different specs, it's a matter of what your class is. 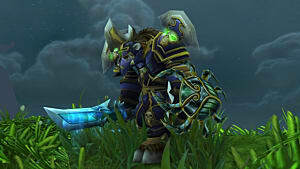 A Paladin and a Warrior can both be doing damage with a big two-handed weapon, but the Paladin is the leader of a cross-faction order of holy knights dedicated to fighting the demon invasion of Azeroth, and the Warrior is an exalted champion of battle within the halls of the honored warriors of eternity. Each Artifact is distinct for each spec, but multiple Artifacts can be wielded by a single character; you can have your artifact weapons for multiple roles allow you to do many things at once as you quest and run dungeons. If you're wondering why this is the point at which players are getting such powerful weapons and an entire order dedicated to a single class, it's because the stakes of the story are incredibly high. 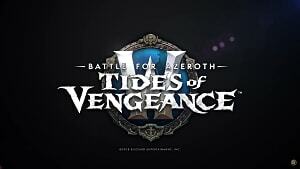 Azeroth isn't in the middle of a war between its two major factions; it's in the middle of a war against the Burning Legion, an endless tide of demons devoted to wiping out all life on the planet. The Burning Legion has tried to invade Azeroth multiple times in the past, but each invasion has been cut short. 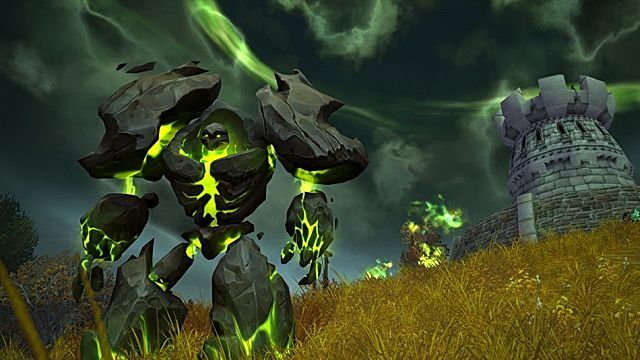 This time, the invasion is coming on in full force; the Legion has opened a portal at the Tomb of Sargeras, the resting place of the fallen Titan who founded the Burning Legion. The very essence of the world's creation will be needed to seal away the portal that has been ripped open, threatening to engulf everything on the planet. Story-wise, this means that nothing is off of the table. 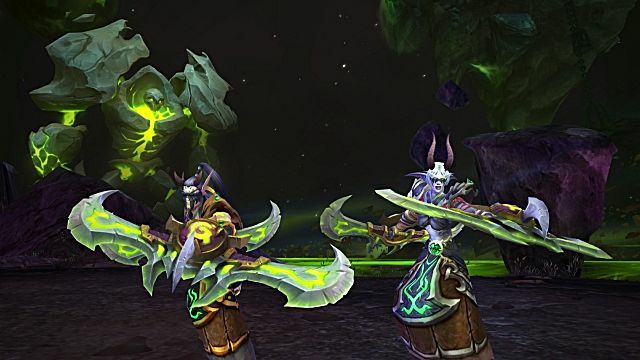 Former villains are coming back as allies in the struggle to save the world, including the new Demon Hunter class (accessible to everyone with the expansion and a leveled character, including a boosted character). 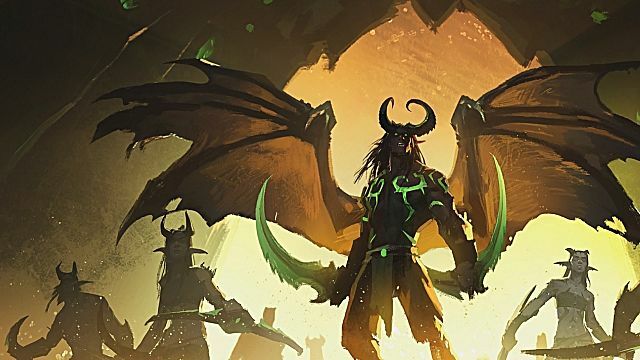 Demon Hunters served directly underneath Illidan Stormrage, the villain of the game's first expansion pack, but the desperation of the fight against the Legion has brought both the Alliance and the Horde together with these former enemies. 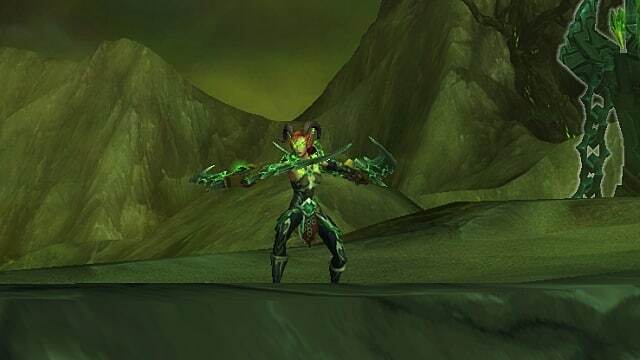 Demon Hunters are mobile weapons that fight back against the demons, channeling demonic powers to defeat the Burning Legion while struggling to contain their own fierce energies. 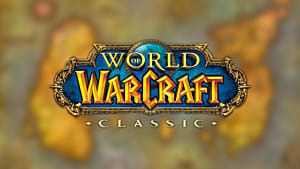 This means that there's more story for players to explore than ever before, a chance to delve into the history of Azeroth and the stories behind many of its enduring mysteries. 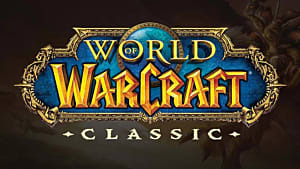 If you're familiar with the story of the game's history, you will learn new things from this expansion; if not, you still have every reason and opportunity to learn about these factions and what they represent. And it's in the midst of the game's most epic and far-ranging conflict yet. 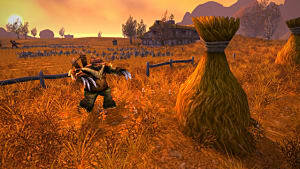 It's possible that what has put you off from World of Warcraft in the past is pretty simple: people. Sure, most people playing on a PC these days play games with other people, but there's a lot of difference between jumping into a quick queue in Overwatch and having to play alongside others for months on end. That's kind of intimidating, and it's the sort of thing that's turned people off of the genre for good. But thinking of it that way is kind of missing the point, especially with this expansion. This is an adventure, the sort of grand fantasy romp that you usually see in single-player games. Your character isn't a nameless cog in the machine; you are a hero, one of the greatest heroes of your faction, and you will be instrumental in either repulsing the greatest threat to the world ever seen... or sealing your fate. And you're not doing it alone. You will be alongside other players, other heroes, fighting for the safety of this realm against marauding demons who exist to destroy everything you hold dear. 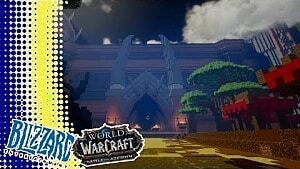 Chaos threatens to overwhelm everything, and players are the only line of defense. There are stories to be told, experiences to be shared, leaders who will fall and major changes to the game's lore in ways that you can't anticipate. You'll experience all of it alongside others, grouping up with them, working as one in a big fantasy battle that you normally wouldn't get outside of a big AAA single-player game. But it's not a single-player game, and that makes it a team effort. You'll make friends as you experience the story, both real people and NPCs. You'll share in triumphs and defeats. Above all else, you'll be a part of an emerging saga within the game world, one that will change the face of the game forever, for good or bad. Imagine your favorite sprawling fantasy game, and imagine you were running through it with other people, all working to build up your individual order halls into a force that can stand against this overwhelming threat. Sure, you might never have gotten into the game before. But now is the time to do just that. 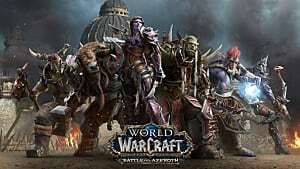 And if you're looking for guilds or other people to play with, you can check out our sister site Gamer Launch, which hosts hundreds of thousands of community sites and offers community, roster, and recruiting functionalities for World of Warcraft and many other games.